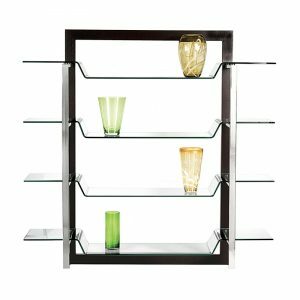 The DM-3010 Curio Cabinet is a modern, tear shaped design with a blend of glass, wood, and metal design elements in an elegant display piece. 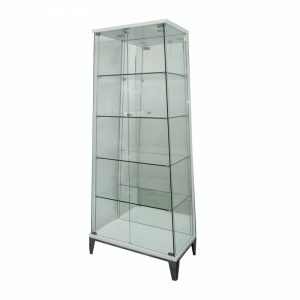 The front of the unit features clear curved glass for full viewing. The back features frosted curved glass which gives the piece a unique glow and style. The entire contents are lit by one interior halogen spotlight. Three tear-drop shaped glass shelves for display of curios and collectibles, and the base is also used as a shelf. 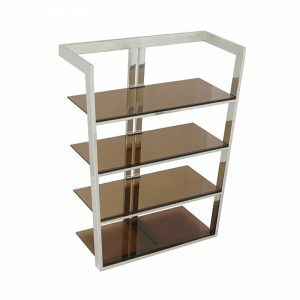 Three stainless steel modern legs lift the piece and add to the overall contemporary aesthetic. The top and bottom are Wenge wood veneers with a naturally dark and distinct appearance. 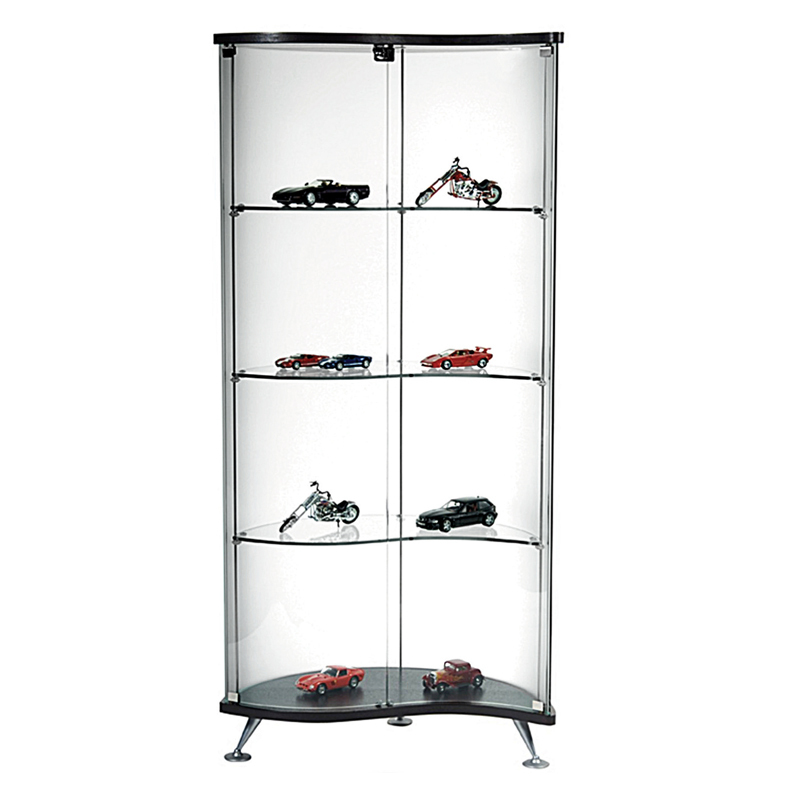 The DM-3010 is the ideal choice for unique modern styling in a front-view curio cabinet.